I've mentioned in past posts that we have really been enjoying tending to our little garden. 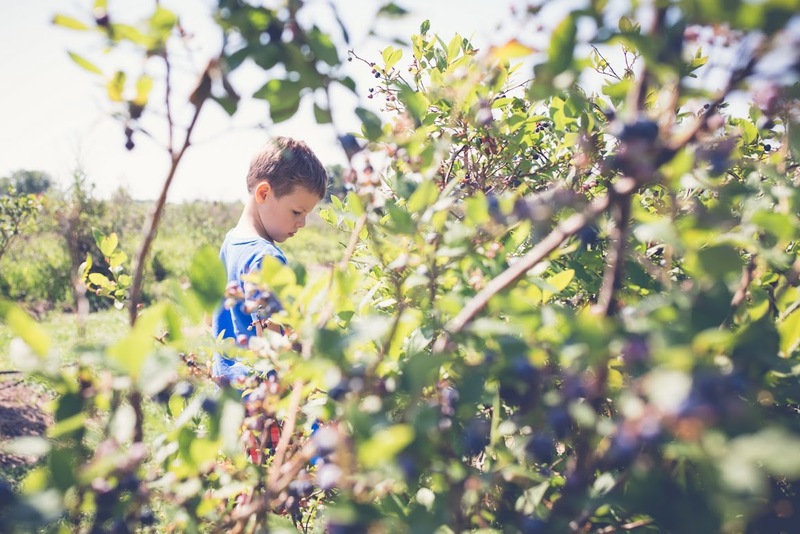 There truly is nothing like picking ripe fruit or veggies right from the plant and then consuming them shortly thereafter. When you buy a fruit or veggie in the grocery store, you are buying something that was not picked recently. It was likely picked quite a while ago, well before it was ripe. 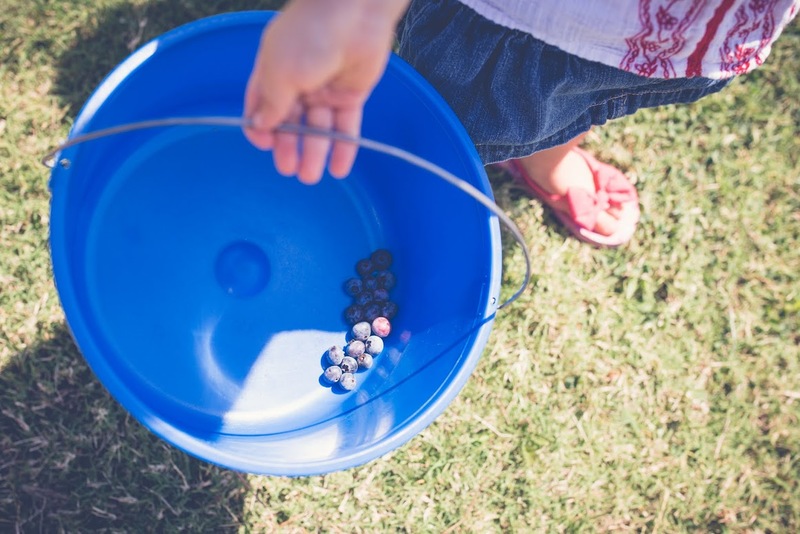 Unfortunately, shortly before a fruit or vegetable is ripe, a plethora of nutrients is dumped into it from the plant. 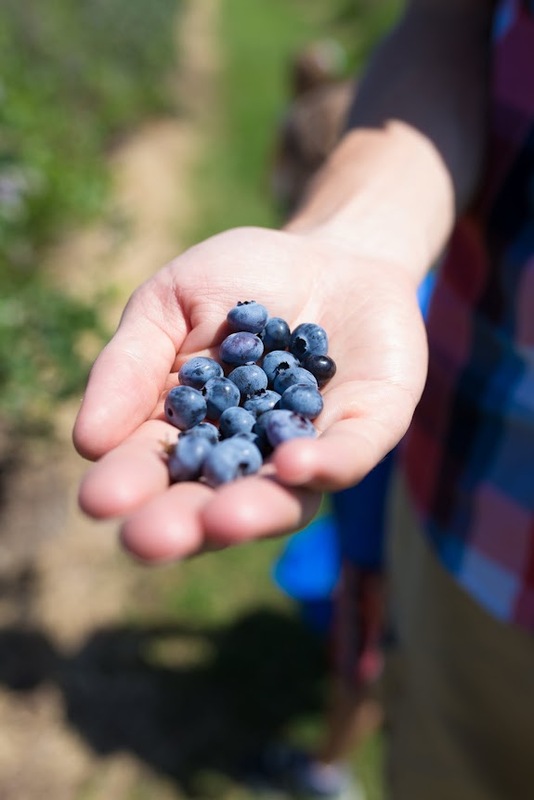 Picking them before they are ripe actually deprive you of many more potential nutrients and flavors. This is one of the many reasons we prefer to buy from local farms. But, off of my soapbox for a moment. 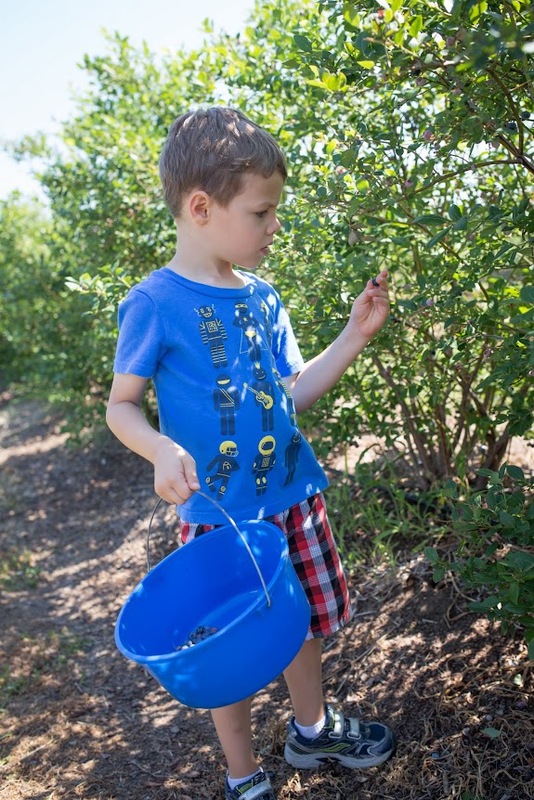 While we were visiting my family, on the morning of July 4, we drove over to a nearby farm to pick blueberries. 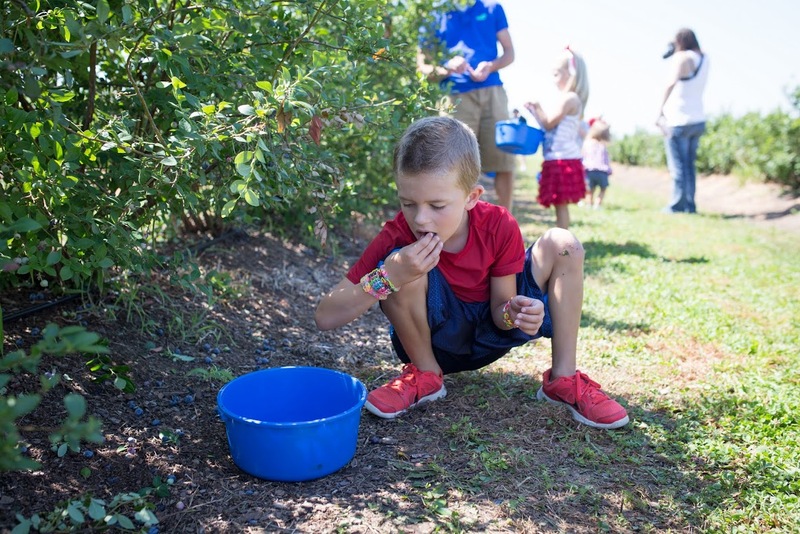 Now, blueberries don't really ripen further after they are picked. So, it is important to pick them when they are ripe. When they are ripe, you barely touch them and they fall into your hand. They are super-sweet. 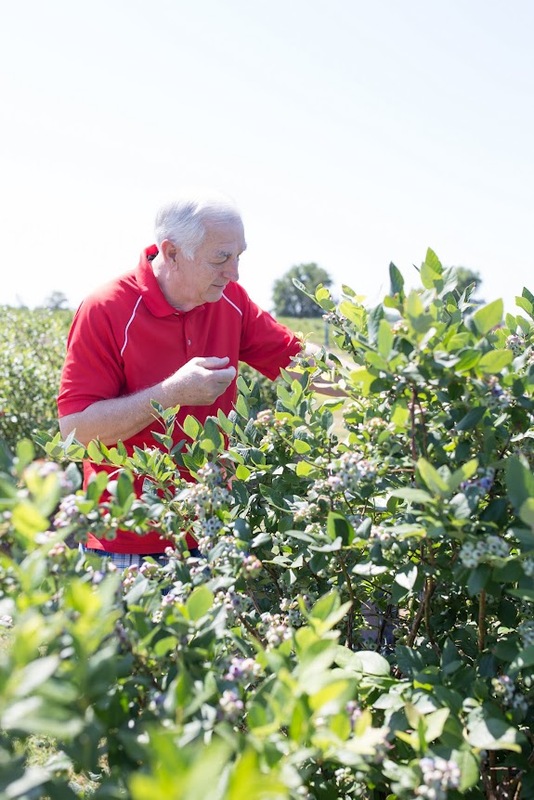 I am telling you--nothing beats eating something directly after picking it! Abbey can attest to that. 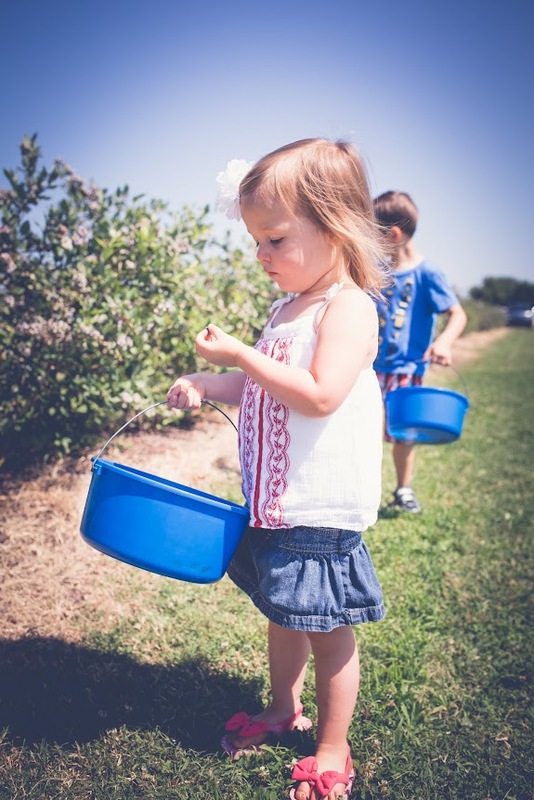 The plan was to pick the blueberry and put the berry right into the bucket. Abbey followed that rule until she saw me eat one (they don't spray their blueberries with pesticides). Then, the rule went down the drain. She saw that as the green light to eat as many as she wanted. 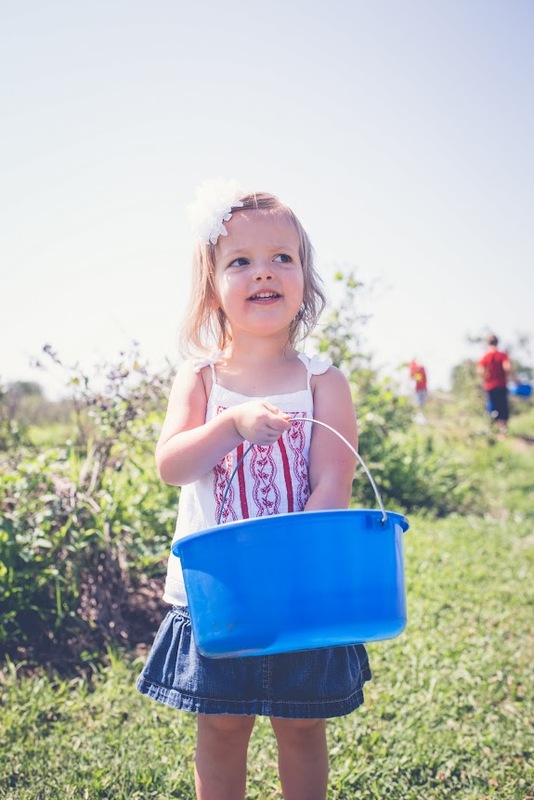 A few minutes prior to this photo, there were a lot more blueberries in that pail! 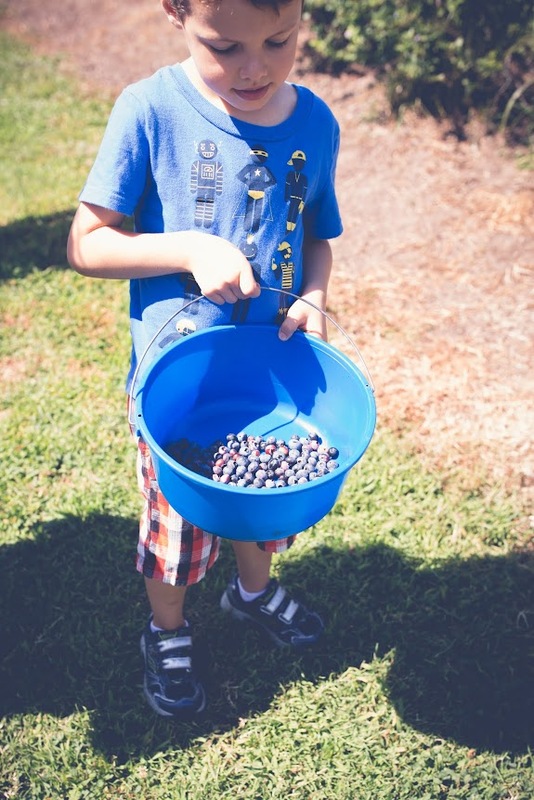 Luke was serious about his blueberry picking. 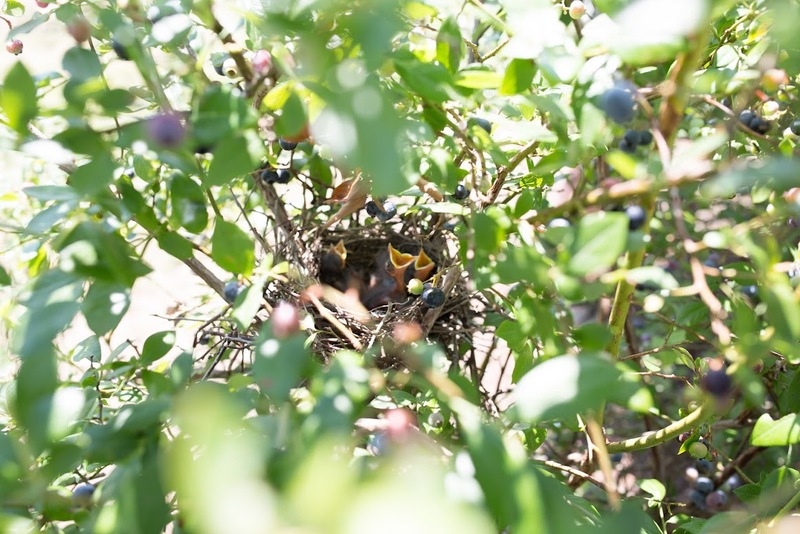 I even saw a bird nest with baby birds in it in one of the blueberry bushes. That is a pretty convenient spot for those birds-super close to a food source! 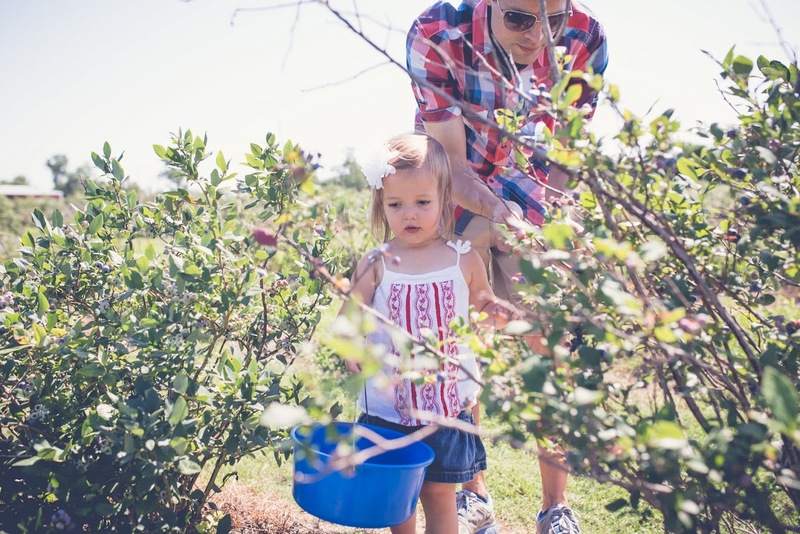 Our niece, Kaylee, was a blueberry picking star as well. I caught Brody eating some! She was saying as she was running that she "wanted to go home." If she couldn't eat any more off the bushes, she was ready to go home. We are definitely in the two's folks!